Sophomore Kristin Ratliff was the second Mammoth to finish the race, placing 22nd overall with a time of 23:12:1. After running with a tight pack early in the race, Roberts made a strong move in the final stages to drop her competitors. The runner-up, Victoria Kingham of Williams, finished more than thirty seconds behind her. With the exception of placing second to a Division I runner at the Lehigh Invitational, Roberts has placed first in every race she has run this season. After her win, she was recognized as USTFCCCA Division III National Athlete of the Week and also became the seventh Amherst runner to be named the NESCAC Most Outstanding Performer. Following Roberts, the Mammoths’ depth helped carry them to a strong finish. 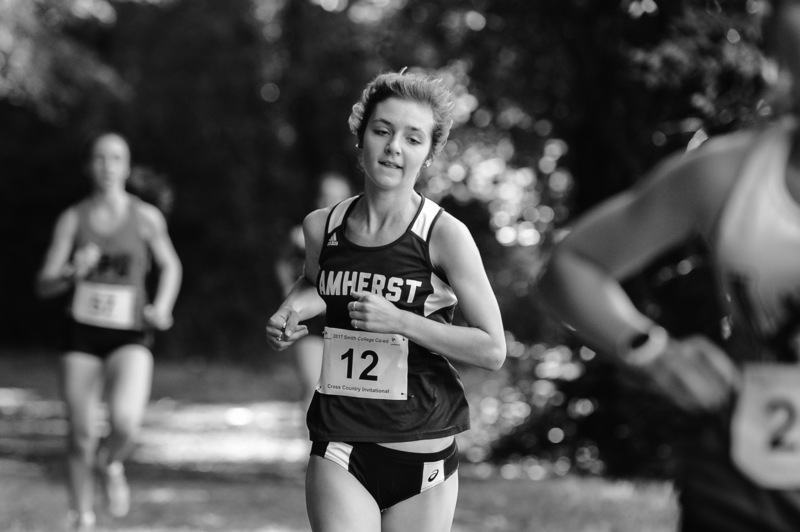 Kristin Ratliff ’20 (23:12.1) was the next Amherst placer in 22nd place. Veronica Rocco ’19 followed closely behind, placing 25th with a time of 23:20.1. Rocco improved her time from last year’s competition by more than a minute. Rookie Haley Greene ’21 (23:42.5) and Lela Walter ’19 (23:46.7) raced in soon after, placing 43rd and 46th, respectively. The Mammoths raced with a squad of eleven runners and their combined efforts put the team in fifth overall for the meet out of the 11 competing NESCAC schools. As the team’s season wraps, up the Mammoths will return to action in two weeks on Saturday, Nov. 11 at the DIII New England Regional Championships, where Amherst hopes to clinch a spot at the NCAA DIII Championships.